John Chirwa recognises the devastating effects that climate change, deforestation and drought have on his community. This is why he joined the Nkhata Bay Natural Way (NBNW). A project which provides training and support in reforestation and conservation of the local environment. In northern Malawi, where John lives, high levels of deforestation have led to soil erosion and loss of soil fertility. Thus, it is difficult for people like John, who make an income from farming, to cultivate and grow good produce. The Nkhata Bay area has felt the effects of climate change particularly hard in 2016. With Temwa witnessing the worst food crisis in its 13 year history. Unfortunately things are predicted to get worse before the next harvest. This is why Temwa is working to support communities in Nhkata Bay with the knowledge and skills to adapt to climate change. 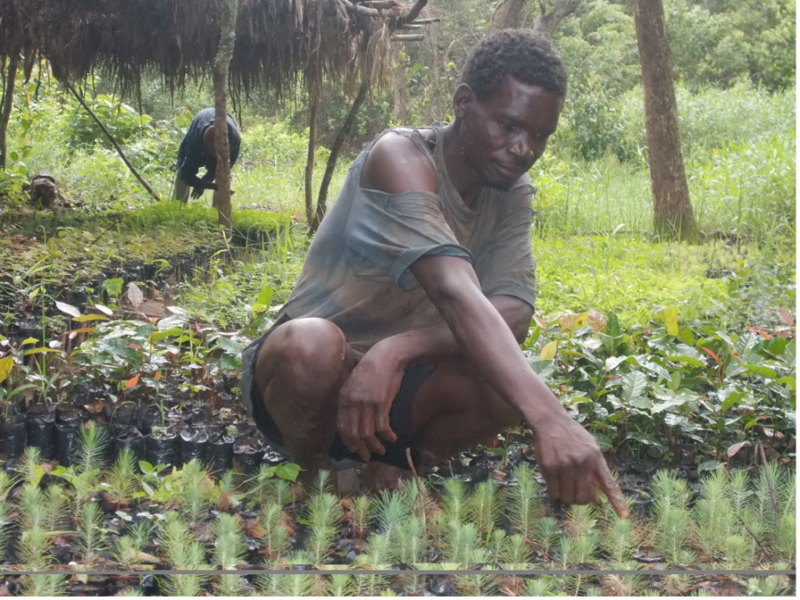 Reforestation projects and sustainable agriculture techniques are key elements. Planting certain trees, such as Mbawa, will improve water retention and combat the effects of drought and low rainfall. Trees also improve the fertility of the soil, which means that farmers are able to grow more and better crops. As both a farmer and member of the community, John is happy to join a project that is helping to mitigate the effects of climate change. He wants to encourage others to take an interest in climate change, as it is something which affects everyone. Temwa aims to reach as many people and communities through climate change adaption and mitigation activities and minimise the risk of another food crisis. If you would like to support Temwa’s work, please considering donating or fundraising.